No Excuses . . . Time to Finish! 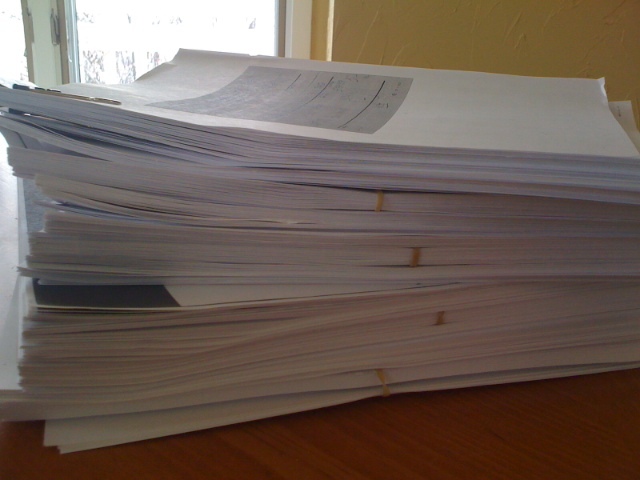 Have you ever seen such a beautiful stack of documents? That’s about 620 pages. 620 pages from the California State Archives that arrived today. When the doorbell rang, I just knew. I glanced out the window and saw a hint of a white truck and I just knew. The FedEx man could clearly see my unbridled excitement and probably thought I was about to kiss him. Maybe that happens often with these guys, but I only had eyes for the box I was holding. When my husband came out of his office and saw my obvious glee, I told him to guess what I got. “Cheese?” Huh? Ok, the only other time I got that excited over a package was when I ordered some nut cheeses from some place on the east coast and apparently, that memory stuck with him. Once we got past the cheese thing, he remarked. “You’re gonna be busy this weekend.” Darn tootin’. Wish me luck. Categories: Research | Tags: California State Archives, Folsom Prison, Folsom's 93, writing | Permalink.